You can be the best wedding planner in the world, or the most effective and organized Do-It-Yourself bride and groom in the world, but if you don't have good relationships with your vendors, you're going to have problems pulling off a flawless wedding. No matter what happens, the day will still go on; the bride will walk down the aisle -- whether she's accompanied by music or Aunt Clara's throat-clearing. Wedding disasters happen, but they rarely stop a bride and groom from tying the knot. While you might not be able to control the weather or Uncle Charlie's drinking problem, you do get to choose how to react to whatever the day presents to you. While we can plan well, there are things beyond our control. It's only a disaster if you think it's a disaster. 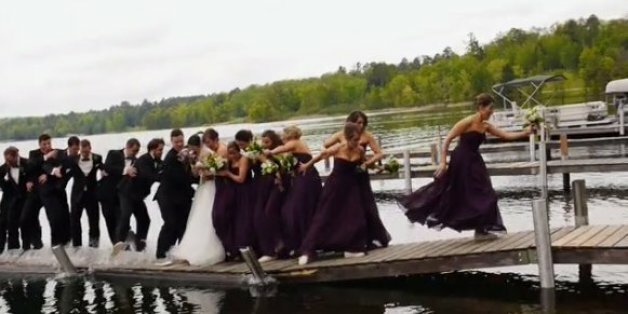 If you laugh about it and carry on, everyone else will follow your lead and consider your wedding a success. A Chicago couple, who chose Seattle as the destination for their August 9 wedding, thought they'd locked in the perfect rental property to house their wedding party -- but instead, they were victimized by a Craiglist scam. Bad weather aside (because no one wants it to rain or snow on their wedding day), things happen. "Stuff" happens. Think of possible things that can happen and plan ahead for potential pitfalls or delays.